“When Doves Cry,” “1999,” “Little Red Corvette,” “Purple Rain” – Prince Rogers Nelson had a number of hit songs. Throughout his career as a singer, songwriter, record producer and actor, Prince amassed $300 million dollars. It was a shock when Prince passed away suddenly on April 21, 2016 at the age of 57. The cause? An accidental overdose of opioid fentanyl. Fentanyl is prescribed by doctors for cancer treatment, but it can be made illicitly and is blamed for a spike in overdose deaths in the United States. It’s 25 to 50 times more potent than heroin and 50 to 100 times more potent than morphine. Prince had no known living children at the time of his death. Now, Prince’s $300 million dollar estate is being sought after by his six siblings and numerous others who claim to be his secret love children, his nieces and nephews, and even secret siblings. 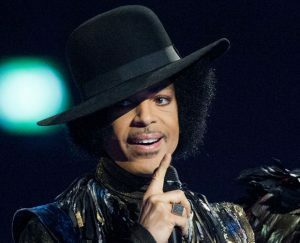 A Minnesota judge overseeing Prince’s estate narrowed down the wide pool of potential heirs ruling out nearly 30 claimants. The judge also ordered genetic testing for six purported family members. What could Prince have done to avoid all this fighting over his estate? Prince should have created an estate plan, and so should you. Each state has its own laws, but a person who dies without a will or trust will have his or her estate distributed and determined by the state’s probate court. Prince passed away in his home state of Minnesota. If you pass away in Minnesota without a will or trust, your property is distributed through probate via intestate succession. In Minnesota, your spouse receives the entirety of your estate after debts and taxes, unless the person who passed away (known as the decedent) has children who are not also the children of the spouse. In that case, the spouse receives the first $150,000, and the balance is divided among the children. If the decedent has no spouse and no children, the closest living relative (such as the sibling) will receive the estate. This is why Prince suddenly has a number of people claiming to be his relatives, most of whom he probably never met during his lifetime. Let Prince’s ordeal be a cautionary tale of what could happen if you don’t have an estate plan. « Did Donald Trump’s Campaign Rip Off A Florida Girl Group?